I don't usually post on a Sunday but this was too good not to share right now. As you know from previous posts, I am a big fan of Seattle-based company Antica Farmacista. I got addicted first with their fig scent which led to many other discoveries. My latest obsession is their Damascena Rose, Orris & Oud scent. I am, in general, obsessed with all things rose. Sometimes the floral can be a bit overwhelming so the orris and oud tend to soften it a bit. What is orris and oud? Well after a bit of googling orris is the root of the iris which has a sweet floral scent. Oud is a little bit more complicated--it is from a tropical tree in India which has been infected with a certain mould and the resin it produces to protect itself is called oud. Phew, it's basically just a wonderfully musky smell. See you learned something today too! I also like a company that gives back. 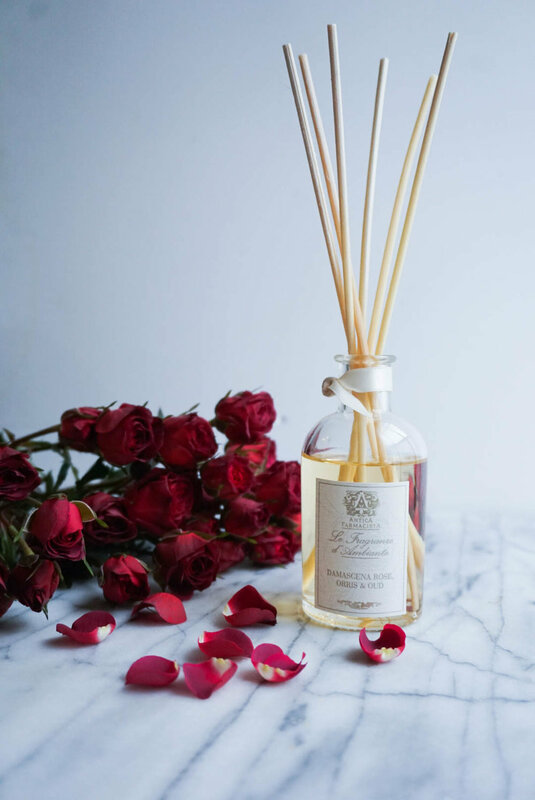 This month with any purchase of their rose products, they are giving the proceeds to Stand Up to Cancer in honor of their founder who fought cancer herself. Since October is Breast Cancer Awareness month it is a great way to give back and get something wonderful for your home. 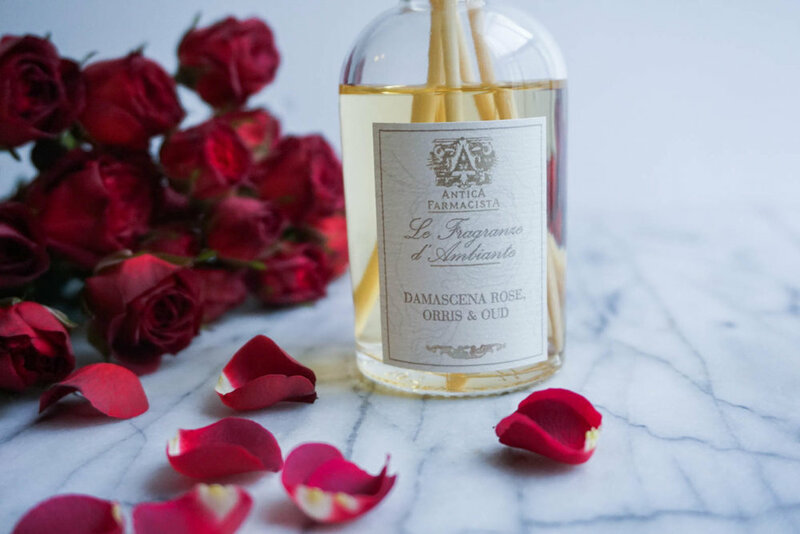 Since I heart you all, and Antica Farmacista is so generous, you can win a rose diffuser and lotion yourself. All you have to do is follow the steps below and you will be entered to win. Good luck! This post was in collaboration with Antica Farmacista. Thank you for supporting the brands featured on the blog.